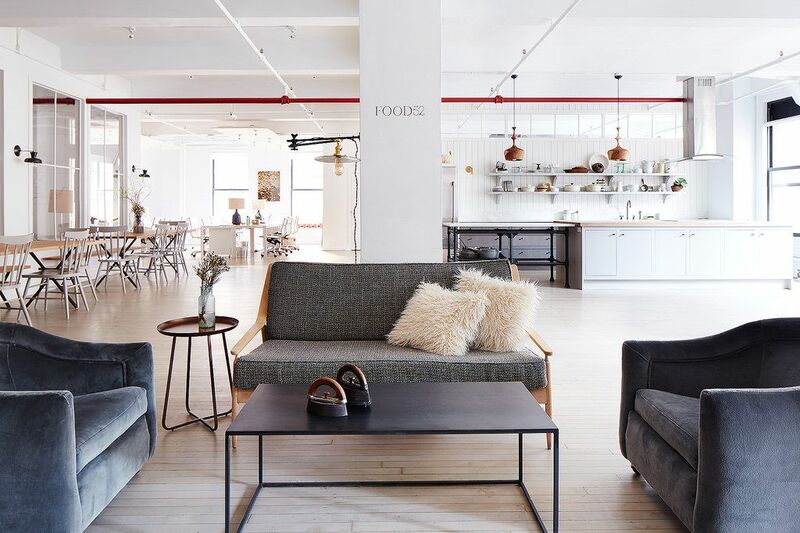 Today: Welcome to the New Food52 office in New York City! This is where all the magic happens, and we're sharing pictures for the first time. In case you missed the news, Food52 has a brand new home. It's a buzzy and inviting space, and we like to think that stepping through the elevator doors, which lands you right in front of the test kitchen with the view above, feels like popping over to a friend's for a meal—your very stylish, gracious, excellent cook and friend who has 50 full-grown children (hi!). After years of operating out of co-habitated and/or quickly outgrown spaces (see this post from yesterday), the new office is a place we're still so amazed we get to walk into every day—and yes, it's the kind of space that makes you want to come to work. Let's have a look around. 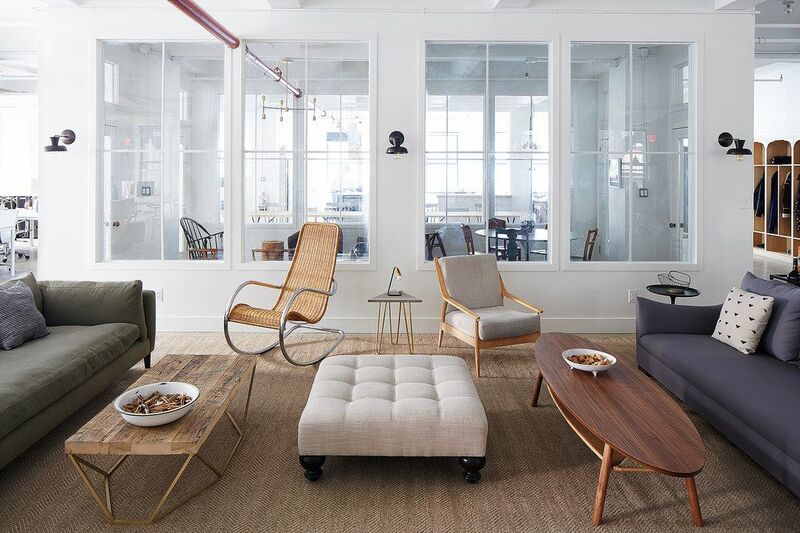 A mix of high and low, old and new characterizes the whole office, but especially the open lounge where we hold team-wide (and spontaneous) meetings. Custom couches from Montauk Sofa and a brass and wood coffee table by Workof are balanced with an oval table from IKEA, a vintage rocker, and a West Elm side table. 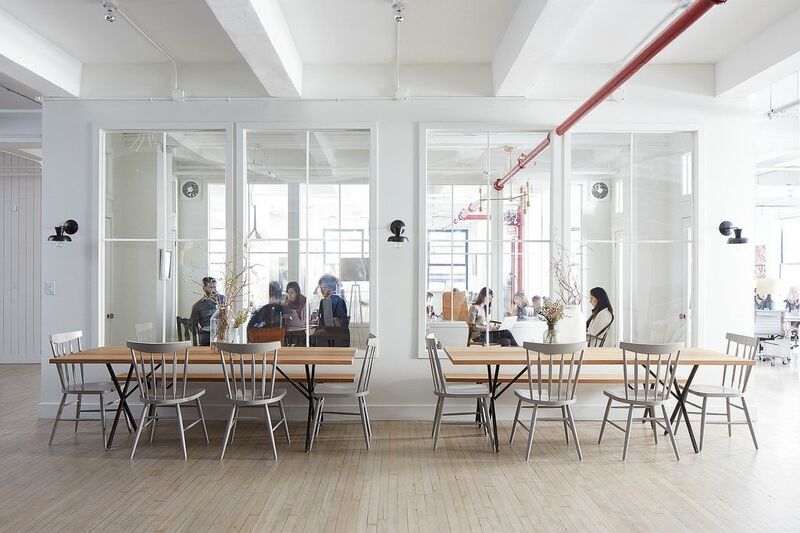 The office is an entire floor of warm, free-flowing space that allows for constant, sometimes frenetic motion and quiet at the same time—sort of like a family home feels on the weekend. Blenders whir in the background, sunlight reaches just about every corner, and people stir about in all directions. On photoshoot days, which are most, the vibe is a little nuttier. On Wednesday Workdays, when no meetings are allowed, we put our heads down as best we can and get things done. Usually, there's food. Sometimes, wine! Always, the tap tap tap of laptop keys and the chatter of busy people. 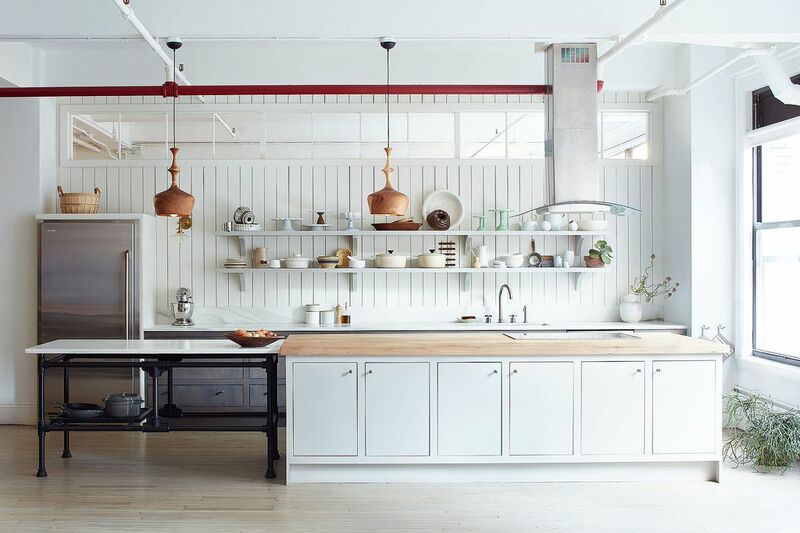 Equipped with a butcher's block countertop, plenty of storage, and Sala Verde lighting fixtures that are hand-turned from sustainable acacia wood, our test kitchen is a happy and happening place. The test kitchen, where we cook all the food you see on the site, is outfitted with Electrolux appliances and fixtures and Waterworks Kitchen cabinetry. The Electrolux cooktop is an induction range that can bring water to a boil in 90 seconds (!) and that we're all convinced runs on magic. All the props you see in our photography, like delicate glassware and antique silver, are stashed on the open shelves and in the low cabinets, which seem to be a little more stuffed every day. So we collect things. Is that a crime? 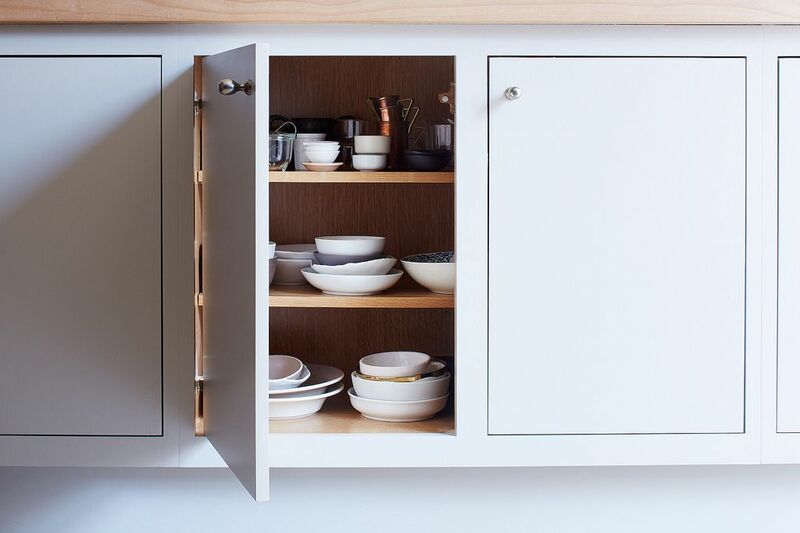 Just as in a home kitchen, our favorite plates and bowls are stored right where we can get to them easily. The designer of our last office, Brad Sherman of B. Sherman Workshop, and his design partner, Nina Etnier, are the masterminds behind this new space, which is informed by all the design solutions Brad and Amanda and Merrill have picked up over the years (including the true first offices of Food52, Amanda's kitchen in Brooklyn). The trio worked together for months and months sorting out every agonizing essential detail—from tile spacing to the filament design in our light bulbs—so that this space would feel like a home away from home. 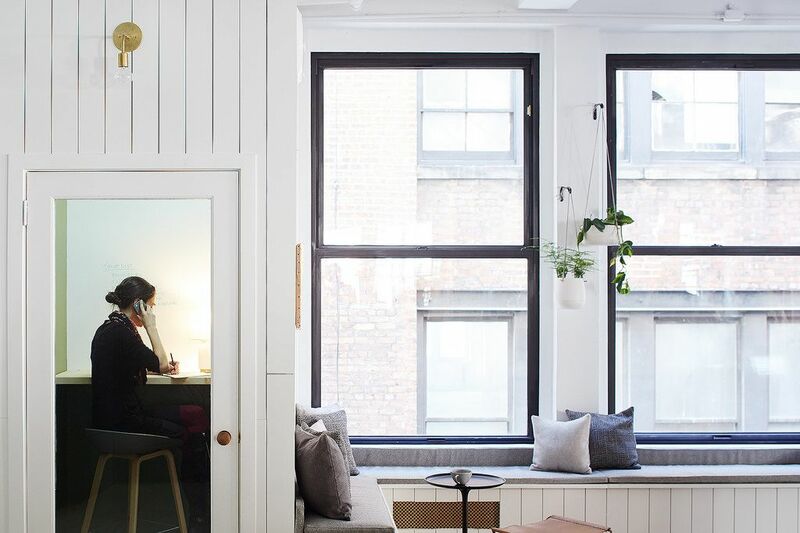 This is about as calm as it ever looks in the office with all our meetings, to-dos, and snacktimes, but the big work desks are definitely a perk. 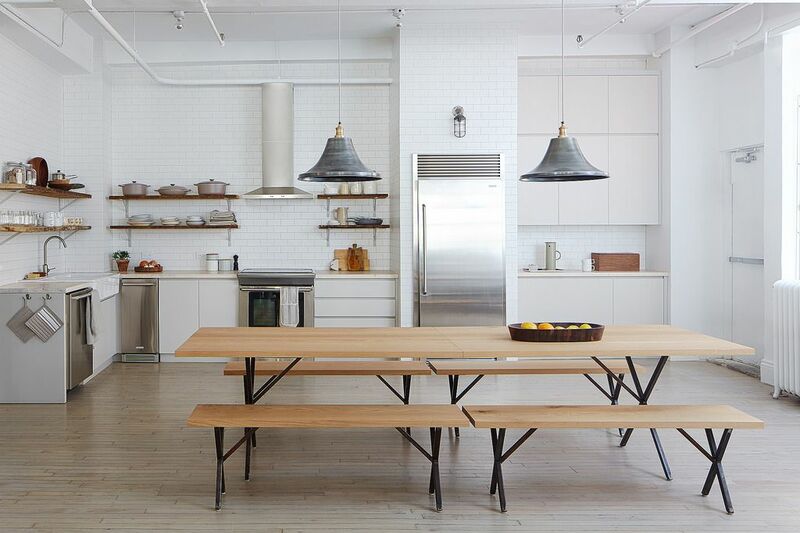 Brad also designed custom furniture and accessories for us (coming to a Food52 Shop near you soon! 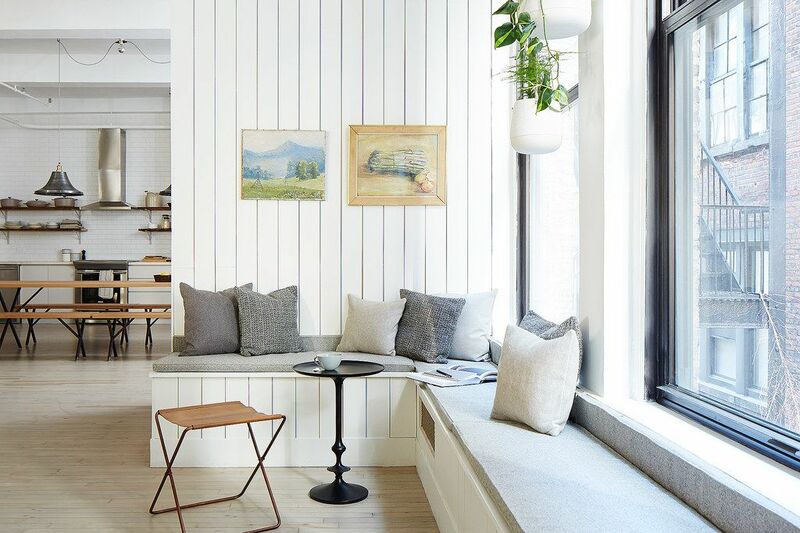 ), including a number of elegant, minimal farm tables—where we work during shoot days and conduct impromptu meetings when someone mentions leftovers—and a simple metal coffee table that greets visitors at the entryway (see first photo!). He even DIY-ed the overhead lighting above our work tables and some oversized frames for some of James Ransom's photographs from the site; stay tuned for tutorials on those! Our two closed work spaces, a conference room and a lounge, are sided with plexiglass windows that keep the light moving through them. Before we moved in, the floor was chopped up with a maze of doors and walls ("a frat house dump," Brad called it), which were promptly removed and replaced with a few select partitions: two to separate storage and bathrooms from the rest of the office, and a central pair of closed work rooms for meetings. Just as in an airy, modern apartment, moving from one "room" to another is accomplished by rounding the corner. A quiet nook by a south-facing window is right off the team kitchen (where we cook Not Sad Desk Lunches) in the background. Brad sourced art from a local auction. Admittedly, it took some time for the space to start looking the way it does. Every employee had a hand in our actual #move52, whether that was breaking down appliance boxes, setting up tables, or cleaning those big interior plexiglass windows with toothpaste and Windex (which took hours, and which we now know does not work, so please stick with plexiglass cleaner if you are faced with cleaning it). Here's a full look at our staff kitchen, where we whip up happy desk lunches on another Electrolux induction range. The bones of the space are industrial, and 10 different shades (yes, really) of white paint were used to create a warmth that's hard to describe but really easy to get used to. 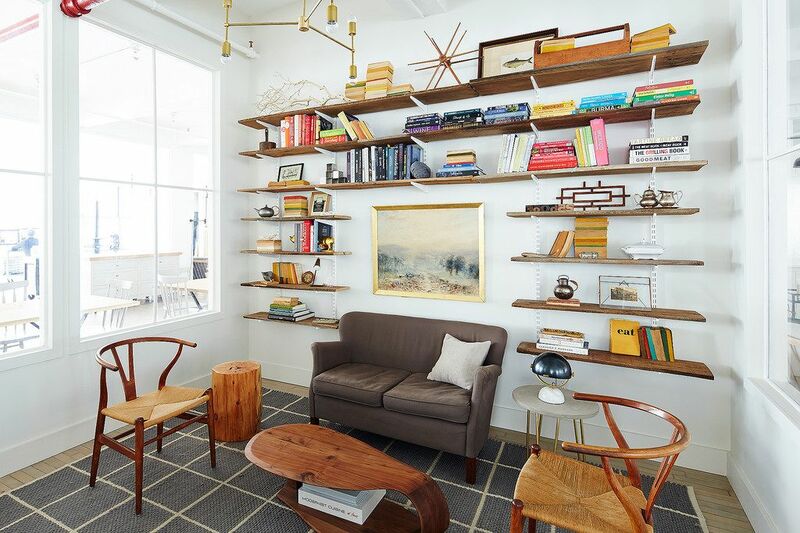 Rustic accents, like reclaimed wood shelves against subway tile walls in the staff kitchen (above and below) and the library, keep the space from feeling stark. Having an office with two dishwashers (this one and another in the test kitchen) is essential rather than luxurious when you cook as much as we do! One of the most important features of the office is what you don't see: the fact that everything in it has a home. Extra chairs for big meetings hang beside a bike rack, all tucked away on the flip side of a white board wall we use for meetings. Standing desks contain all kinds of storage for events and office supplies, and the shelves in our test kitchen are so carefully mapped out, we keep a picture of them—stocked with an Alexis-approved arrangement of cooking supplies—in the knife drawer, so anyone on clean-up duty can put the items back easily. Adding great art with lots of character to a less glamorous nook like a laundry room can lend a quite a bit of cheer to chores. 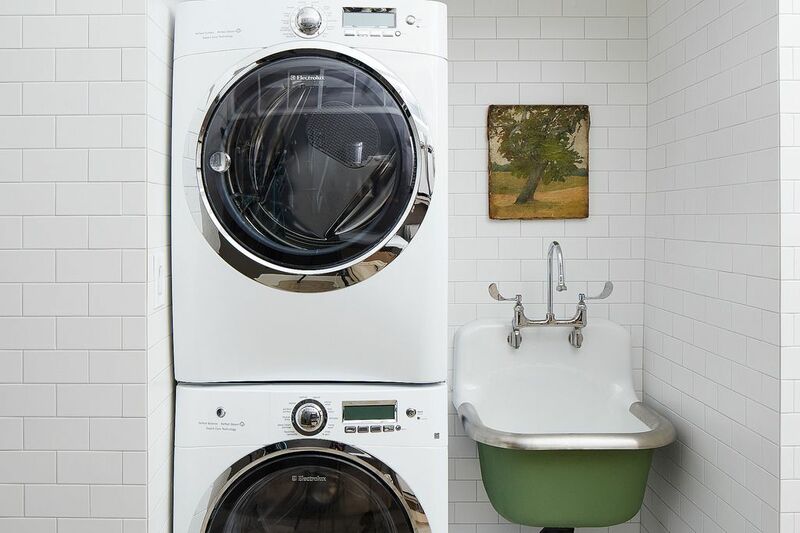 A tiny laundry room behind the bike rack houses an Electrolux washer and dryer, which we use to keep kitchen towels and aprons clean. Brad painted the small industrial sink a matte, woodsy green—one of our only real pops of color in the whole design scheme. Brad's custom-designed barcarts, nestled between the open lounge and a large whiteboard, are always stocked for events and photoshoots. The work spaces aren't limited to our big community-style desks: There are the aforementioned farm tables with benches, standing counters where you can work on two feet, a pair of fully equipped kitchens with everything you need to whip up a meal or fifty (and photograph it), and a cozy closed lounge with shelves that we've started to call "the Library." So comfy is the love seat in that little room, Amanda Hesser was recently spotted taking a cat nap on it. Without our art director Alexis, whose ability to style shelves just so is only rivaled by her knack for treasure hunting, our books will pile up in unruly stacks on the editors' table. All the accents you see in these pictures—like rows of weathered books, vintage glass jars in all shades of blue, a big bowl of clothespins, and curious knick knacks that fill in the gaps like tiny sculptures—are the genius of Alexis Anthony, our resident stylist and master of finishing touches. She sources accents from flea markets and her own collection to be sure our rooms (and the rooms in our photography) feel real, warm, and inspiring. Instead of a clunky phone on every desk, a few closed booths provide a quiet place to make calls; inside, they're painted the same green as our laundry room sink. Even the doorknobs, antique wooden designs that are smooth in your hand from years of turning, were carefully chosen to work with the surrounding textiles and wall colors. Fresh flowers, and plenty of dried ones that seem to hold their shape just as cheerfully, lend a little color to the bathrooms tabletops—brought in by Alexis in a new arrangement every week. Brad also used subway tile and live-edge wood shelves in the bathrooms, so they feel connected to the overall office design. A sign of successful design is that you don't even think about it when moving through a space. 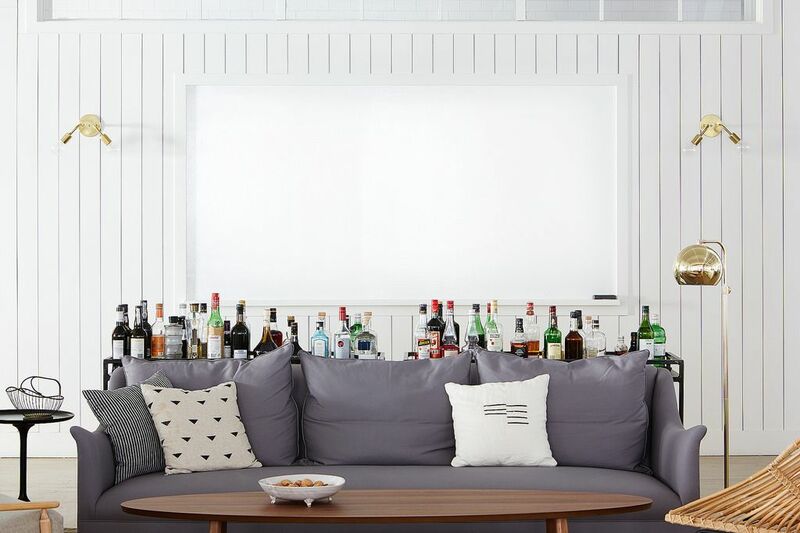 All of Brad's careful planning, from the width of the custom cabinetry to the very specific grey-white tint to the floor finish, resulted in an office that's as comfortable to work—and, okay, play—in as a home. It's actually a relief to step off the elevators every day, something we couldn't be more grateful for and the reason we're thrilled to share it with you. We hope you enjoyed the tour! 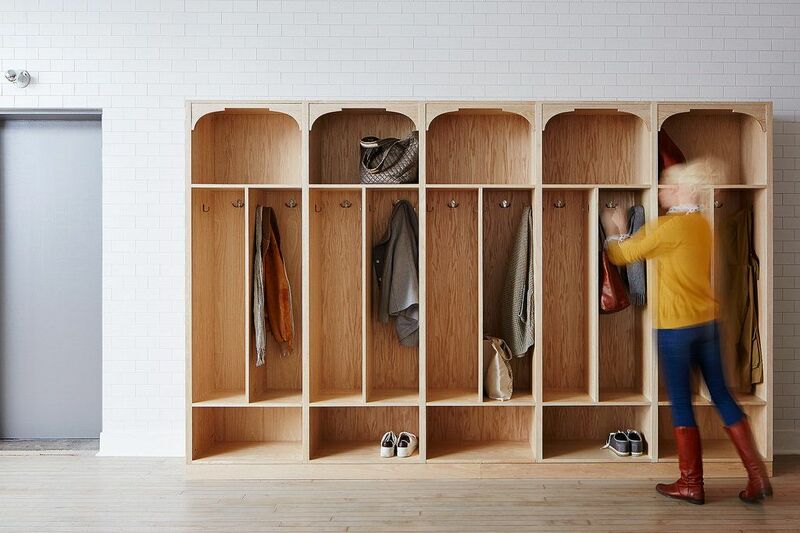 The coat lockers, inspired by 100-year-old kitchen cabinet design at Amanda's husband's family home, keep our belongings tidy. Thanks for stopping by! Let us know in the comments which details of the new office you like the most. CONGRATULATIONS. ! It looks great. Great space to keep up your terrific work. 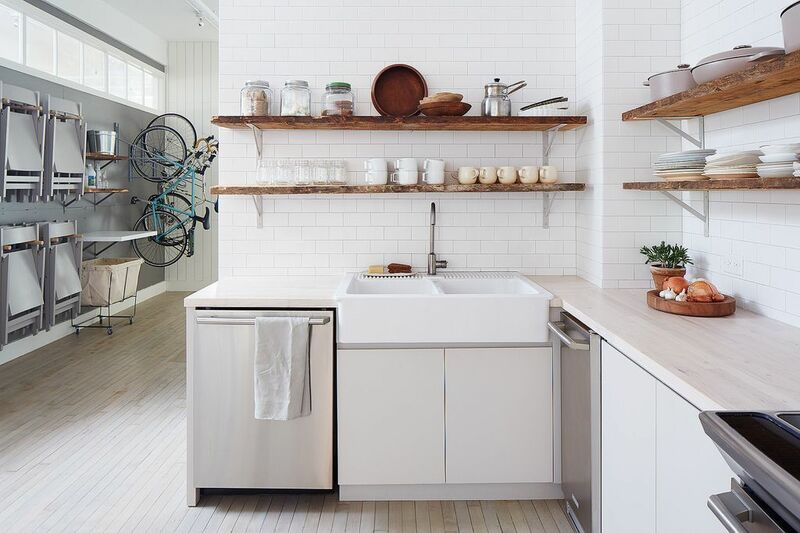 Love that laundry sink! But I have to say... my mother has an induction stove and it is Satan. Anyways, gorgeous, GORGEOUS space you guys! Congrats! Awesome! It is a beautiful space. I feel like the post about remodeling Amanda's kitchen/Food52 office/test kitchen was not too long ago. Congratulations! This is awesome! Beautiful space. I feel like the post about remodeling Amanda's kitchen/Food52 office/test kitchen was not so long too ago. Congratulations!!! What color is the green?? I guess I am the only wants a little more color. This office is like a blank canvas. Imagine the color then add bright pillows to the furniture, vases of colorful flowers, use your imagination. The beauty of this is that because it is a blank canvas, colors can be changed up with the seasons or any time. Plants would be nice to take advantage of all the light available. I would love to go to a work place as beautiful as this. Feels like working from home! What magnificent space! Would love to see it in person....must be a joy to go to work everyday! Classy, bright, and innovative. Just like its founders! I absolutely love it. Warm, inspiring, true to the image and giving it more dimension. I just love that you've integrated so much here that Food 52 is about, and now given a photographic, verbal guided tour through the space. Thank you and bravo and wow, what a fun place to work. I love it! What a wonderful space! 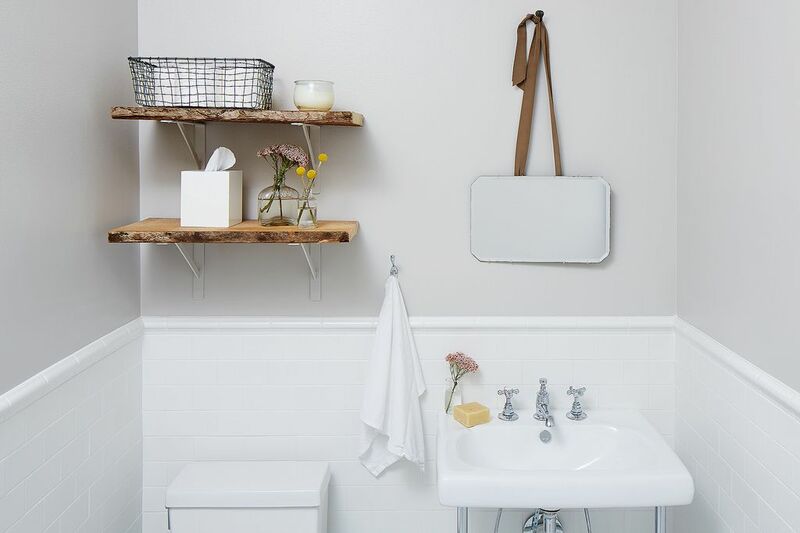 Clean, warm, functional, gorgeous. Congratulations!! LOVE the marble top island in your kitchen... source, please? Beautiful and spacious. Congrats to you all!